I’ve always been a sucker for oddball guitars. A LaBaye 2×4? You bet! A Bunker Astral Series Sunstar? Yup! A Jay Turser Shark? O’Hagan Shark? Of course. So, when a chance to get a moon-shaped guitars beckoned, the call was irresistible. Now, despite its hallowed place in the annals of electric guitar history, the LaBaye 2×4 is, in reality, pretty much a novelty. The Kawai MS-700 MoonSault, on the other hand, is one serious guitar. 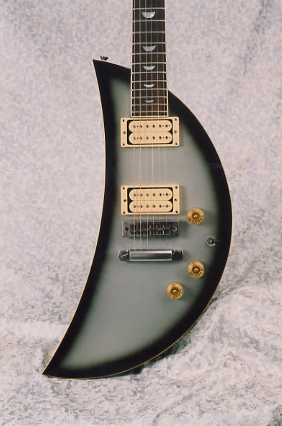 Ironically, while Japanese guitar-makers made their reputations by making copies (more or less) of popular guitar models since the early 1960s, at least, there has always been an opposing stream of Japanese guitar design. To the yin of guitars that look like European and American models has been juxtaposed a yang of uniquely Japanese designs. For every Burns Bison of EKO Violin guitar inspiration there were a a few Kawai Concerts or Teisco May Queens. For every Les Paul and Strat there were a few Ibanez Icemen or Kawai MoonSaults. I think in some ways, these original guitar shapes can be seen as a manifestation of Japanese pride. As in, all right, I’ll make copies of your Les Pauls in order to sell guitars and gain market share and keep people working. But I’m going to build this totally unique guitar, too. Nah, nah, nah, nah, nah. The Teisco May Queens and Kawai Concerts of the 1960s were a bit too radical to find much acceptance in Western markets. I don’t even think Japanese companies ever really pushed them for exports and very few American importers were interested in try to sell them. Plus, those guitars appeared in around 1967 and ’68. By that time popular music was well on its way to worshipping the guitar god, like Jimi or Eric. No way either of them would show up to a stadium playing a May Queen. As near as I can tell, guitars like the Iceman and MoonSault—and a few others—showed up right around 1975 or thereabouts, ironically just as the ‘70s “copy era” was kicking into high gear. Like I said, it’s hard not to see this 2nd wave of Japanese designs as a reaction. The difference this time was that they appeared just as glam rock was becoming popular. Axemen in platform shoes, full costumes and Kabuki make-up didn’t have any problem at all showing up with a Kramer Axe or Ibanez Iceman. It made the act all that much more outrageous. In your eye, mom and dad! The Iceman, made by FujiGen Gakki, and Kawai’s MoonSault, seem to be the only of these exotic Japanese designs to make it to North America. Thanks to KISS, the Iceman was the more successful of the two. I don’t think that tons were ever made, but it became a mainstay of the Ibanez catalog for some time. Fuji also made some Greco versions for domestic consumption. Kawai did promote the MoonSault, but Kawai didn’t have an American subsidiary (Ibanez had Elger Guitars), nor did it ever have a Gene Simmons. If I’m not mistaken, Devo briefly played a MoonSault, but by Devo’s time serious rifts in the music industry were already becoming apparent, and guitar players didn’t rush out to buy what Mark Mothersbaugh played. So, Kawai MoonSaults are pretty rare birds. Of the rare MoonSaults, this MS-700 is an even rarer example. These were only built from December of 1982 to April of 1983, maybe 5 months. This guitar has a serial number of D-150, which I presume to mean December, guitar number 150. 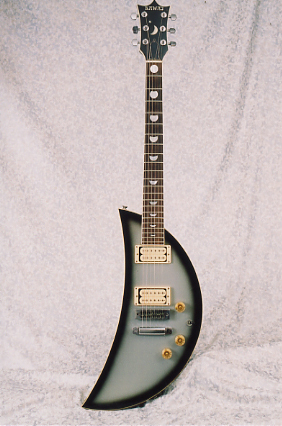 The blue-silverburst finish was very popular for a brief period during the early 1980s. I never cared much for it, even though it qualifies as oddball, I think! I don’t know what the body on this is, but the neck is glued-in mahogany and I suspect so is the body. Note the abalone phases of the moon for position markers! Many pickups from this era were Gotohs, but I don’t know what these are. They scream. 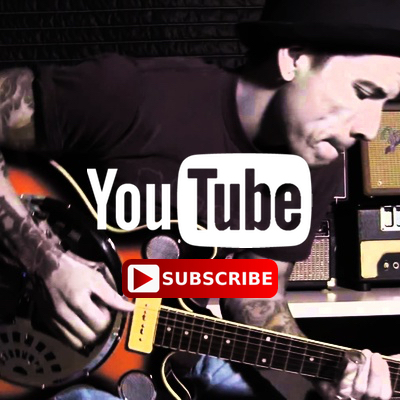 There’s a master volume control and a tone control for each humbucker. Those are push-pull pots that give you a coil tap and phase reversal. I love this kind of tonal versatility. The MoonSault offers great visual imagery, but if, like me, you haven’t played in a band for more time than some readers have been alive, you might, like me, enjoy playing sitting down. A Vee actually sits nicely on your right leg. 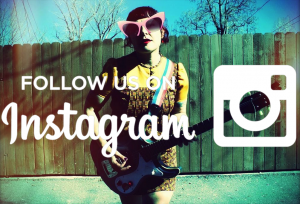 The waist of a Les Paul on your left. A MoonSault, not so much on either! It kind of slips and slides. Better for the young. But that’s no reason not to heed the call if a MoonSault ever beckons you. This guitar was loaned to the Museum of Fine Arts in Boston for their ground-breaking Dangerous Curves exhibition of 1999-2000. You can see it in the exhibition catalog. 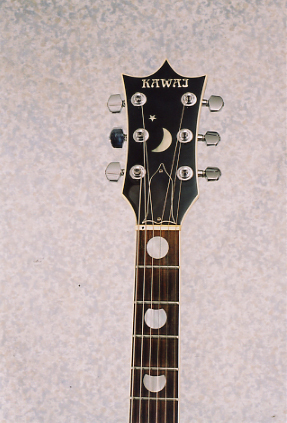 It’s now part of the MFA’s permanent collection, a reminder of Japanese pride in their ability to design great guitars! ← Seat-backs straight. Prepare for Take-off. This is Mark Kremer, I’m the guy that sold you your Veleno with the air bubble on the guitar, I bought one of these MoonSault guitars from Frank Hannon of the rock group Tesla, The same guy that I bought the Veleno guitar that you have. I don’t see anywhere I can send you a picture. You can see the moon guitar on the Panorama LP from The Cars. Also, Waterstone Guitars made a version of it a few years back. Always enjoy the emails and the guitar info. I am glad you made the comment about how it rests on your leg while sitting. That is what made the guitar an atrocity. If you play left handed, then you could flip it over and then it sits nicely with the curve on your knee. 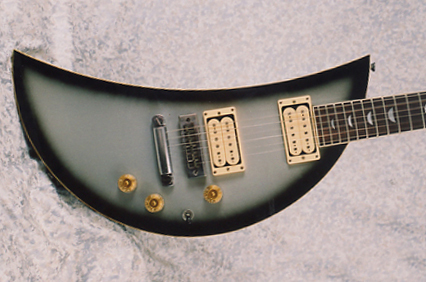 The Teisco May Queen wasn’t an original design–it was a copy of the Vox Mando-Guitar, scaled up to guitar size. What were they thinking? You could ask the same question about the Moonsault too, but at least it’s different!